The opening round of the FIA European Rallycross Championship joined the opening round of World RX last weekend in Barcelona, and it was Sweden’s Anton Marklund who scored his first European Supercar victory in his Marklund Motorsport Volkswagen Polo Supercar. Sweden’s Robin Larsson was fastest in Q1, but Marklund was fastest in Q2, Q3, Q4, semi-final one and the final to take a maximum of 30 points Championship points from the event. In an entry of 32 competitors, it was a trio of ‘firsts’ on the podium in Barcelona. Hungary’s Tamas Pal Kiss raced his ex-Team Peugeot Hansen Peugeot 208 WRX Supercar to his best ever finish of second behind Marklund, as Ireland’s Ollie O’Donovan scored his own best ever result to become the first Irishman to stand on a European Championship Supercar podium. Marklund led the final from lights to flag, but O’Donovan climbed to second early in the race before taking his Joker Lap. That moved Kiss to the runner-up spot, while O’Donovan held onto third despite a challenge from Germany’s Rene Muennich in his Seat Ibiza. Derek Tohill also qualified for the final and finished fifth in a Ford Fiesta, his best ever result, with Norway’s Henning Solberg driving an Eklund Motorsport Volkswagen Beetle to sixth. 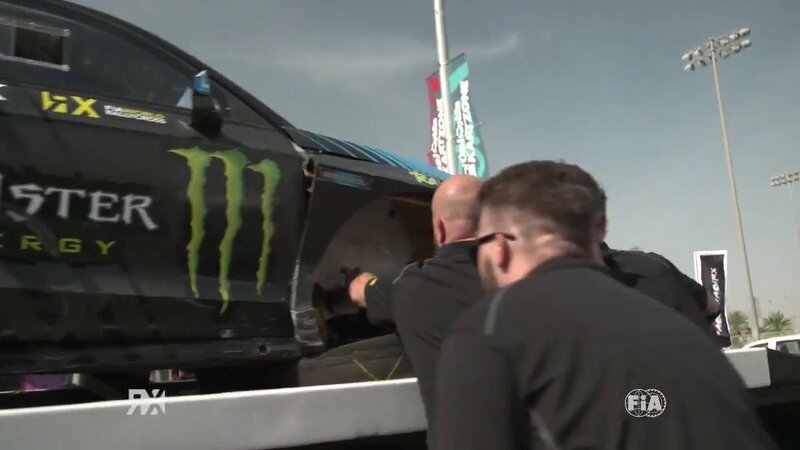 Solberg was only able to race on day two after the Eklund team worked through the night on Saturday to repair the car, following a crash in Q1 and further damage in Q2. RX2 race winner, Norway’s Thomas Bryntesson showed impressive pace on his Euro RX Supercar debut but crashed out of the semi-finals, while Norway’s Alexander Hvaal also made the semi-finals but spun in the same race as Bryntesson. Former Euro RX champions Tommy Rustad and Larsson both made the semis, along with France’s Jerome Grosset-Janin and Poland’s Martin Kaczmarski.